After a long hard winter, SPRING is finally here! Now it’s time to start thinking about getting ready for summer and cleaning up! The Village’s SPRING CLEAN-UP will be held on Monday, May 20th for the east side of Hwy. 101, and Tuesday, May 21st for the west side of Hwy. 101. Although May 20th is a holiday, Fero has confirmed there will be holiday pick-up for the Spring Clean-Up as well as the regular garbage and recycling collection. 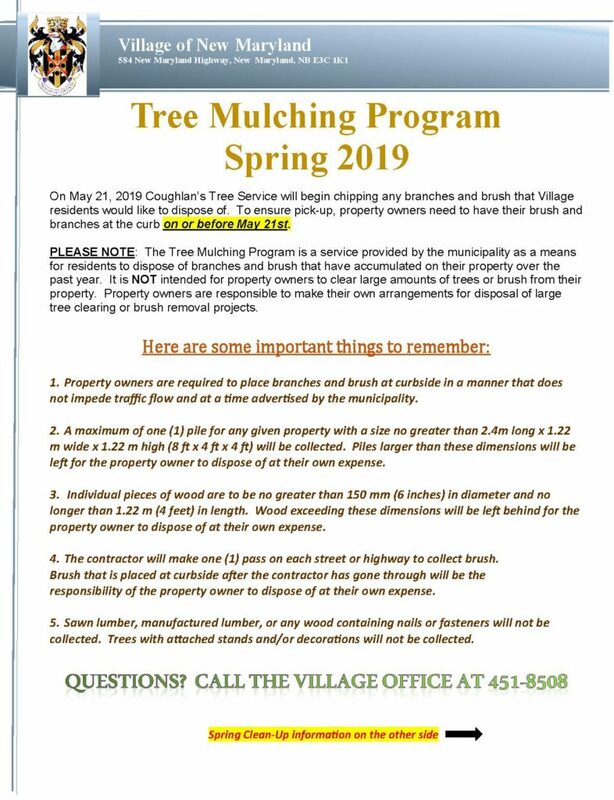 TREE MULCHING is scheduled to begin May 21st, right after the May long weekend. LEAF COLLECTION will take place on Wednesday, May 22nd for the east side of Hwy. 101, and Thursday, May 23rd for the west side of Hwy. 101. STREET SWEEPING is tentatively scheduled to begin the third week of April, but will be dependent on weather conditions. An update will be posted once the commencement date is confirmed. Information regarding the Spring Clean-Up, Tree Mulching and Leaf Collection can be found in the flyers below. If you have questions, please contact the Village office.